At 27 stories high, the Du Bois Library is a great trivia question. Next time you need a good trivia question, here’s one. Name the college that has the tallest library in the country and the tallest academic library in the world. It isn’t Harvard. It isn’t Stanford. 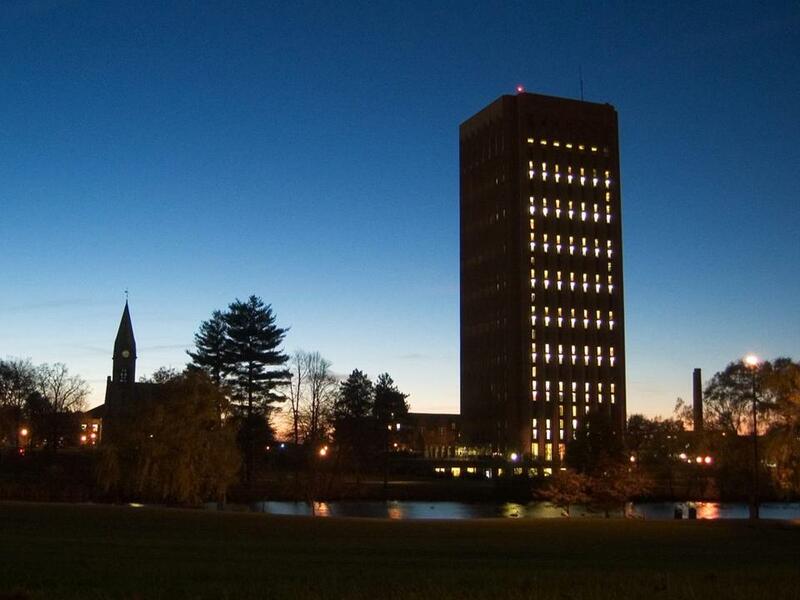 It’s UMass Amherst. At 27 stories high, the W.E.B. Du Bois Library looms over the sprawling campus and is something of a lightning rod — for campus rumors, that is. It’s said that the building is sinking into the ground a little bit every year, that bricks have fallen off it, that the architects never accounted for the weight of the books in designing its structure. All false, says library spokeswoman Carol Connare. Yet despite the best efforts of her colleagues to set the record straight, she says new students at UMass still hear the same old tall tales about their very tall library.